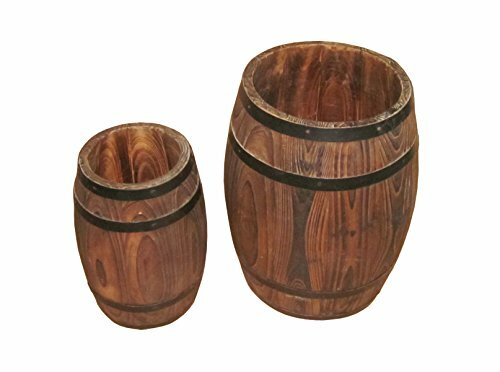 In a barrel design, these 2 sets of planters will beautify your home. Great for decorations in all settings. The Dimensions are 11Lx16Hx8Diameter and 7Lx14Hx7Diameter. If you have any questions about this product by Screen Gems, contact us by completing and submitting the form below. If you are looking for a specif part number, please include it with your message.